Can Eggs Prevent Hair Loss and Promote Hair Growth? How exactly can eggs help reverse the stages of baldness? Hair loss, thinning, and brittle strands, are common problems many men and women face, and it is estimated that over half of us suffer from some stage of baldness by the age of 40. Hair loss cannot be cured, but it can be treated, and you'll be pleased to know that not all treatments will cost you an arm and a leg. In fact, something as simple as eggs can do more good for your hair than you could have imagined. Why are eggs good for your hair? Eggs contain a host of rich proteins, minerals, and B-complex vitamins that are essential nutrients for the formation of strand growth. These nutrients, especially biotin and other B-complex vitamins, can also help prevent thinning, as well as promote hair growth, adding volume and thickness to your hair. The proteins help strengthen your hair while the fats help condition it, improving hair texture. Egg yolks are rich in lutein, which helps hydrate your hair and improve its elasticity. The more hydrated your hair is, the better condition it will be in. The lutein also helps repair brittle hair, minimising breakage and split-ends, while improving the condition of your hair. 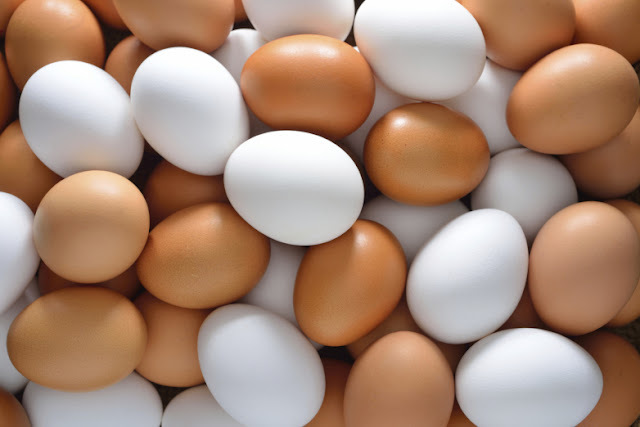 As a bonus, the proteins present in egg whites help nourish your hair and leave it with a healthy shine. And since hair is over 75% protein, eggs can help rebuild the damaged keratin gaps in the structure of your hair. This helps heal and repair any damage to the strands, commonly caused by climate change, sport, or excess sweating. 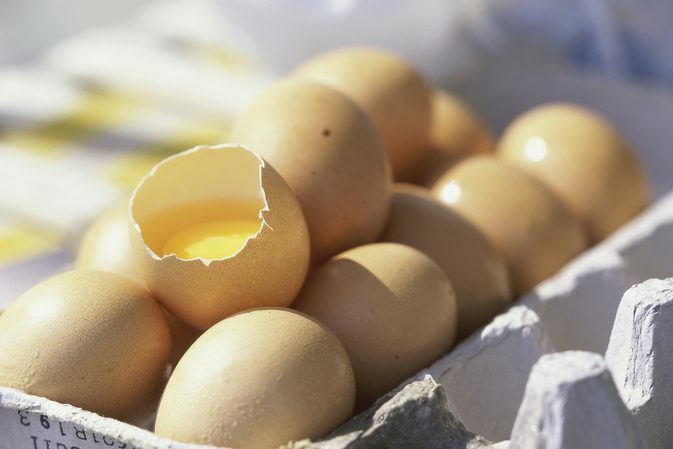 What part of the egg is most beneficial for hair loss? Your hair type plays a significant role in determining what part of the egg is best for your hair. The egg whites can benefit people will particularly oily hair, while people with dry hair go for the yolks. Protein is the most effective source of combating the effects of oily strands. The egg white is the richest source of protein, containing minerals such as niacin, riboflavin, magnesium, potassium, and sodium. All of these minerals can effectively assist in hair growth, and they help control oil production while nourishing the hair. The yolk also contains a high protein percentage, and is an abundant source of B-complex vitamins and folic acid, which are great hair beneficiary minerals. Also, the fat from the yolk makes it an excellent conditioning ingredient, which is why it is often used by people with dry hair. If, like most people, you are more inclined to go for the whole egg, then this can have a combination of benefits for your hair. The whole egg, particularly the white part, is a very high source of protein, however, the yolk is more nutritious. Eating the whole egg is ideal for people who suffer from severe hair shedding and are prone to breakage and damage. 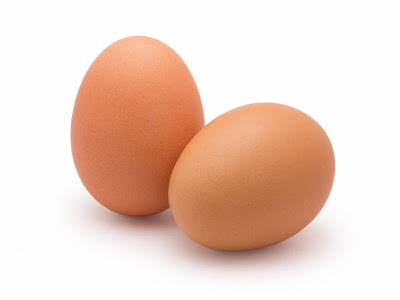 Eggs have that wonderful combination of repairing damaged strands and stimulating stronger hair growth. If you suffer from thinning hair, then be sure to get plenty of eggs into your diet. Try to consume around six eggs per week. Remember, eggs offer a wide range of benefits, not just for your hair. 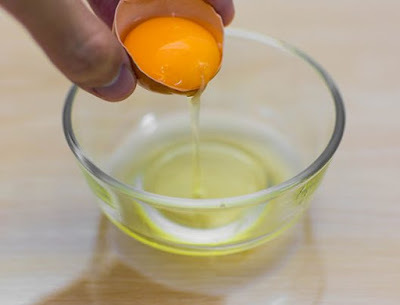 The egg mask: For the most effective hair mask, whisk two egg whites into a bowl until you get that smooth mixture. Then apply onto the desired areas of the scalp, rub in gently, and leave in for around 20 minutes. Then, wash your hair with cool water until the egg is completely washed out. Repeat this process about three times a week. Ok, so this isn't the most pleasant way to treat hair loss, but it has proved to be one of the most effective natural treatments for baldness. Give it a try,and you may just be amazing by the results! Supplements: We understand that there are still some people out there that can't even bear the thought of applying eggs to their scalp, so fear not, we do have one final option that you may want to try. Consider taking multi-vitamin hair supplements. Multi-vitamin hair supplements like HR23+ can help slow down the rate of hair loss and support stronger, healthier hair growth. They contain key minerals found in eggs, such as folic acid, choline, biotin, and niacin, all of which help support the formation of healthy hair growth. These types of supplements can be hugely effective for treating hair loss, and they offer a more convenient way to tackle hair loss, especially for many of us who are busy with our day-to-day lives.